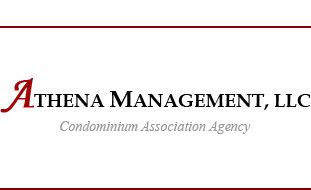 The core philosophy of Athena Management, LLC is to provide each client with a Community Manager who carries a portfolio load of not more than seven (7) associations. If the company determines that an expansion of clientele is appropriate Athena Management, LLC will evaluate the market place for qualified Community Managers that are presubscribed to the Athena Management, LLC corporate vision. The philosophy of the company breaks new ground that has not yet been explored by the competitors the company faces in the local market place. Yet this is a business philosophy that is often sought after by most condominium association communities. A philosophy that is echoed through out other customer service oriented businesses such as coffee conveyors, upscale department stores, national real estate investment trusts and so many other service providers. Even fast food chains promise that you can “have it your way”. Yet no other Condominium Association Property Management entity in the Puget Sound has dared to rise to the level of customer satisfaction standard so prevalent in other areas of today’s consumer market place.